Occupational Therapy Board Rule 64B11-5.001, F.A.C., Requirements for License Renewal of an Active License; Continuing Education, was updated in July 2014 with significant changes. Please note that these changes will not be implemented until the 2015 – 2017 licensure biennium and will go into effect March 1, 2015, to avoid any potential adverse impacts on licensees and providers who took/offered courses under the version of the rule in effect when this current biennium began on March 1, 2013. Specifically, the rule change references the courses that are considered live. At least fourteen (14) of the required hours per biennium must be in person or from interactive, real-time courses. An interactive, real-time course may be a web-based, satellite transmitted, telephone or video conference, or online instruction program that allows or requires the licensee to interact in real time, including live chat, with the instructor during the presentation of the program. Home Study – A licensee may receive continuing education credit for no more than twelve (12) hours of home study education per biennium. Home study education is a self-paced, non-interactive independent study that requires a certificate of completion. Taking a computerized exam at the end of the study, or being able to email the instructor with a question, does not qualify home study as a live or interactive course. If a course does not allow or require live interaction with the presenter then it is not considered a live course. Courses that allow a licensee to contact the presenter via email are homestudy courses, not live courses. If you have any questions, please contact the Board directly via email at mqa.occupationaltherapy@flhealth.gov or by calling 850-245-4373. Professional Development Resources is an American Occupational Therapy Association (AOTA) approved provider of home study continuing education (#3159). The assignment of AOTA CEUs does not imply endorsement of specific course content, products, or clinical procedures by AOTA. Professional Development Resources is also approved by the Florida Board of OT Practice (#34) and is CE Broker compliant (all courses are reported within 1 week of completion). Florida-licensed OTs/OTAs may earn up to 12 hours per renewal through courses offered @ www.pdresources.org. 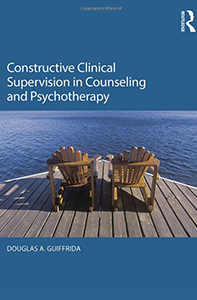 Constructive Clinical Supervision in Counseling and Psychotherapy is a 6-hour continuing education (CE/CEU) course written for supervisors from all backgrounds, from beginning graduate students who are learning about supervision for the first time, to seasoned veterans who are exploring ways to deepen their clinical practice. This test-only course provides instant access to the CE test that enables you to earn CE credit for reading a published course book (NOT included in your course enrollment) or share course books with colleagues. You get instant access to the CE test and a direct link to purchase the book from Amazon if you choose. In some cases you have a choice between a print book and an e-book. Successful completion of the online CE test (80% required to pass, 3 chances to take) and course evaluation are required to earn a certificate of completion. You can print the test (download test from My Courses tab of your account after purchasing) and mark your answers on while reading the course book. Then submit online when ready to receive credit. Professional Development Resources is approved by the American Psychological Association (APA) to sponsor continuing education for psychologists; the National Board of Certified Counselors (NBCC ACEP #5590); the Association of Social Work Boards (ASWB Provider #1046, ACE Program); the California Board of Behavioral Sciences (#PCE1625); the Florida Boards of Social Work, Mental Health Counseling and Marriage and Family Therapy (#BAP346), Psychology & School Psychology (#50-1635); the Ohio Counselor, Social Worker & MFT Board (#RCST100501); the South Carolina Board of Professional Counselors & MFTs (#193); and the Texas Board of Examiners of Marriage & Family Therapists (#114) and State Board of Social Worker Examiners (#5678). The Healing Power of Emotion is a new 7-hour home study CEU course that draws on cutting-edge neuroscience to better understand emotion. Clinicians have long debated the exact nature of the essential elements that bring about successful healing in psychotherapy. How do we regulate emotion in a healthy way? How can we foster environments that are conducive to positive relationships and optimal health? Specifically, how can we use our emotions to heal and mend emotional injuries? This course is an exploration of how we regulate our bodies, form healthy connections with others, and mend emotional ruptures when they occur. We are “hardwired to connect with each another, we connect through our emotions,” say the authors. The unique aspect of this course is in the mix of leading neuroscientists, developmental psychologists, therapy researchers, and clinicians who work together to illustrate how we can regulate emotion in a healthy way. A variety of emotions, both positive and negative, are examined in detail, drawing on both research and clinical observations. Just as emotionally traumatic events can tear apart the fabric of family and psyche, the emotions can become powerful catalysts for the transformations that are at the heart of the healing process. 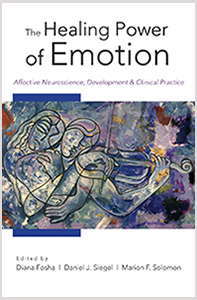 The Healing Power of Emotion includes chapters on such topics as reciprocal influences between body and brain, the communication of sympathy and meaning, and possible answers to the essential question – What is emotion? Included also are examinations of the role of emotion in energy and vitality, pleasure and desire, emotion and mindfulness, and emotion in intimate relationships. Chapters focus on specific clinical applications with case examples, including work with individuals, couples, and families. Professional Development Resources is approved by the American Psychological Association (APA) to sponsor continuing education for psychologists; by the National Board of Certified Counselors (NBCC) to offer home study continuing education for NCCs (Provider #5590); by the Association of Social Work Boards (ASWB Provider #1046, ACE Program); by the National Association of Alcoholism & Drug Abuse Counselors (NAADAC Provider #000279); by the California Board of Behavioral Sciences (#PCE1625); by the Florida Boards of Clinical Social Work, Marriage & Family Therapy, and Mental Health Counseling (#BAP346) and Psychology & School Psychology (#50-1635); by the Illinois DPR for Social Work (#159-00531); by the Ohio Counselor, Social Worker & MFT Board (#RCST100501); by the South Carolina Board of Professional Counselors & MFTs (#193); and by the Texas Board of Examiners of Marriage & Family Therapists (#114) and State Board of Social Worker Examiners (#5678). 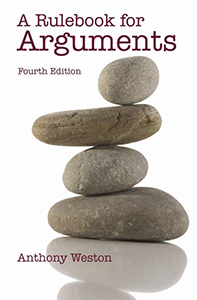 A Rulebook for Arguments, Fourth Edition is a test only course (book not included). The book (or e-book) can be purchased from Amazon. It provides a basic introduction to the art of making one’s points rationally and eloquently, whether in speaking or writing. It offers – in a very brief format for quick learning and reference – simple rules for putting together a good argument. The course is designed to help psychotherapists use logic and critical thinking skills in their professional presentations and communications. Connecticut Speech-Language Pathology licensees are now required to participate in continuing education (CE) activities for their biennial licensure renewal. Each licensee applying for license renewal on and after October 1, 2011, shall complete a minimum of 20 hours of qualifying continuing education within the preceding twenty-four-month period for which the license is being renewed. Qualifying continuing education activities include, but are not limited to, workshops or courses, including online courses and journal studies with content accepted by the American Speech-Language-Hearing Association (ASHA) or such successor organization as may be approved by the department, offered by national and state speech-language-hearing associations, other regional speech-language groups, or other related professional societies and organizations as appropriate to the educational needs of the licensee, state and local education agencies, hospitals or other health care institutions, and accredited colleges and universities. One credit hour for each hour of attendance shall be recognized. Audited courses shall have hours of attendance documented. The Department does not approve continuing education courses or pre-approve specific coursework for individual licensees, nor does the Department maintain a list of continuing education courses. It is incumbent on the licensee and the provider to ensure that the CE activity meets the requirements as outlined on this page and in the Connecticut General Statutes. Each licensee applying for license renewal shall sign a statement attesting that he or she has satisfied the continuing education requirements. Each licensee shall retain records of attendance or certificates of completion that demonstrate compliance with such continuing education requirements for a minimum of three years following the year in which the continuing education activities were completed and shall submit such records to the department for inspection not later than forty-five days after a request by the department for such records. Each practitioner applying for renewal will be asked to attest that the practitioner satisfies the continuing education requirements. Certificates of completion should not be mailed to the Department unless a licensee is specifically directed to do so. A licensee who is not engaged in active professional practice in any form during a registration period shall be exempt from the continuing education requirements, provided the licensee submits to the department, prior to the expiration of the registration period, a notarized application for exemption. The application for exemption shall contain a statement that the licensee may not engage in professional practice until the licensee has met the continuing education requirements of this section. In individual cases involving medical disability or illness, the department may, in it’s discretion, grant a waiver of the continuing education requirements or an extension of time within which to fulfill the continuing education requirements of this section to any licensee, provided the licensee submits to the department, prior to the expiration of the registration period, an application for waiver, along with a certification by a licensed physician of the disability or illness and such other documentation as may be required. The department may grant a waiver or extension for a period not to exceed one registration period, except that the department may grant additional waivers or extensions if the medical disability or illness upon which a waiver or extension is granted continues beyond the period of the waiver or extension and the licensee applies for an additional waiver or extension. Any licensee whose license has lapsed due to nonrenewal and who applies to the department for reinstatement of such license shall submit evidence documenting successful completion of ten contact hours of continuing education within the one-year period immediately preceding application for reinstatement. Mississippi Speech-Language Pathologists and Audiologists have an upcoming license renewal deadline of June 30, 2012. 20 hours of continuing education are required to renew and 10 of those hours must directly relate to clinical practice. All 20 hours can now be obtained through ASHA-approved online (home study) courses. Definition and philosophy: Each individual licensed as a speech-language pathologist or audiologist is responsible for optimum service to the consumer and is accountable to the consumer, the employer, and the profession for evidence of maintaining high levels of skill and knowledge. Regulations set the requirement of 20 contact hours (CH) or 2 Continuing Education Units (CEU) to be accrued during the licensing term. No carryover of continuing education hours from one licensure period to another shall be allowed. At least fifty (50) percent (10 Contact Hours or 1 CEU) of the continuing education requirement must be directly related to the clinical practice of speech-language pathology or audiology. Individuals applying for initial licensure within a licensing term must accrue continuing education hours on a prorated scale. Written notification of required hours will be sent to the applicant at the time of licensure. Individuals holding a temporary license must meet the same CEU requirements as regularly licensed practitioners. Persons who fail to accrue the required continuing education hours shall be issued a CE probationary license for the licensure term. Failure to accrue the required hours during the CE probationary period will result in the revocation of the license. Hours accrued are first credited for the delinquent hours lacking from the previous licensure period, and then applied to the current (CE probationary) licensing period. CE probationary licenses will be issued for one licensure term only. No ensuing license may be CE probationary as a result of not meeting continuing education requirements. NOTE: Reinstatement of a license revoked for failure to meet continuing education requirements is subject to the discretion of the Department. If said license is permitted to be reinstated, payment of the “renewal,” the “late renewal payment penalty”, and the “license issued after expiration date” fees as stated in Subchapter 11 of these regulations will be required before licensure may be reinstated. Update knowledge and skills required for competent performance beyond entry level as described in current legislation and regulations. Allow the licensee to enhance his knowledge and skills. Provide opportunities for interdisciplinary learning. Extend limits of professional capabilities and opportunities. Facilitate personal contributions to the advancement of the profession. attendance at educational programs where continuing education credit is given and approved by accredited universities. attendance at educational programs where continuing education credit is given and approved by the Academy of Dispensing Audiologists. attendance at educational programs where continuing education credit is given and approved by the American Academy of Audiology. attendance at educational programs where continuing education credit is given and approved by the American Auditory Society. attendance at educational programs where continuing education credit is given and approved by licensure authorities for speech-language pathology or audiology of other states or territories of the United States or the District of Columbia. attendance at other programs approved for continuing education credit by ASHA, AMA, or their components. 2. Presentations, made before recognized groups of speech-language pathologists or audiologists, medical practitioners, or other health related professionals, rather than civic groups, and directly related to the profession of speech-language pathology or audiology. To be considered for continuing education credit, material outline and a synopsis must be submitted to the Department thirty (30) days prior to the presentation date. Notice of approval or disapproval will be sent following a review by the Department. For approved presentations, the presenter may accrue one (1) hour of continuing education credit for each hour of the actual presentation, and one (1) hour of preparation time, for a total of (2) two hours. Presenter credit is given one (1) time only, even though the session may be presented multiple times. No more than 30% of total required hours may be accrued through presentations. One hundred percent (100%) of the total required hours may be accrued through online or home study courses. Correspondence courses are not considered self-study. Courses must be approved by one of the organizations listed above. A certificate of completion must be submitted to receive continuing education credit. 5. Teleconferences approved by a provider listed under Rule 10.7.4(1)(a) of these regulations. Viewing of taped teleconferences is not acceptable unless authorized by the provider in writing. 6. Publication in a professional, refereed journal. Licensee must be the principal author. A maximum of 30% of the total CE requirement may be accrued through publication. Continuing education is defined as education beyond the basic preparation required for entry into the profession, directly related to the performance and practice of speech-language pathology or audiology. Relevancy of continuing education hours will be determined by the department with the advice of the council. Oregon-licensed professional counselors and marriage & family therapists (MFTs) must complete forty (40) clock hours of continuing education every 2 years. Six of those 40 hours must be in ethics training. The reporting period is from the license renewal in one even-numbered year to the next license renewal in the subsequent even-numbered year. For example, if your birth month is June, your CEU reporting period would be from July 1, 2010 through June 30, 2012. You would report when you renew your license in June, 2012. Attending college or university courses — 15 clock hours per semester credit or 10 clock hours per quarter credit. Seminars, workshops, conferences and/or trainings. Distance learning trainings must be offered or approved by a provider acceptable to the Board, e.g., NBCC. Distance learning programs must include mechanisms for evaluation, measurement, or confirmation of exchange of information. Home study from approved providers must be offered or approved by a provider acceptable to the Board, e.g., NBCC. Professional Development Resources is approved as a provider of continuing education by the National Board of Certified Counselors (NBCC Provider #5590) and by the American Psychological Association (APA) to offer continuing education for Counselors and MFTs. Oregon licensees may obtain all 40 clock hours through online home study courses offered @ http://www.pdresources.org/Index.aspx. Courses in personal growth, computers, administration, management, marketing, or other business classes will NOT count. Each reporting year, the Board randomly selects 10% of licensees for an audit to check compliance of its continuing education requirements. Click to view approved online courses! Social Workers, Marriage and Family Therapists, and Mental Health Counselors licensed in the State of Indiana are required to obtain at least forty (40) hours of continuing education in order to renew their license. 20 hours must come from Category I (formal) courses and 1 hour on ethics from a Category I course is required each year. The license renewal deadline is March 31, 2012. Professional Development Resources is approved as a provider of continuing education by the Association of Social Work Boards (ASWB Provider #1046, ACE Program); by the National Board of Certified Counselors (NBCC Provider #5590) and by the American Psychological Association (APA) to offer continuing education for Social Workers, Counselors and MFTs. Indiana-licensees can earn all 40 hours per renewal through courses @ http://www.pdresources.org/Index.aspx (formal Category I). How many continuing education hours do I need to renew my license? 40 hours of continuing education credits are required for each renewal cycle or 20 CEUs per year. April 1st – March 31st of every even numbered year. Are there any required courses I must take? Yes, every licensee is required to take at least 1 hour of ethics in Category I continuing education each year. How many hours of continuing education do I need if I have been licensed less than 24 months? You will need 20 hours in order to renew your license. How many hours of continuing education do I need if I have been licensed less than 12 months? You do not need any continuing education in order to renew your license. What are Category I CEUs and how many do I need per licensure cycle? Home study programs, including computer; audio; video; and instructional programs, accredited by board-approved organizations. Courses that are relevant to the license holder’s professional skills, which are part of the curriculum of an accredited university, college, or educational institution, shall earn fifteen (15) CEUs for each academic semester hour completed, or ten (10) CEUs for each academic quarter hour completed. Faculty teaching a course for the first time at an accredited university, college, or educational institution shall earn one and one-half (1½) CEUs for every hour taught. You are required to obtain a minimum of 20 Category I CEUs per renewal cycle. What are Category II CEUs and how many do I need per licensure cycle? Journal clubs, earns one (1) CEU for each hour attended. Office in-services, earns one (1) CEU for each hour attended. Case conferences that are specifically designed for training or teaching, earns one (1) CEU for each hour attended. Services as an instructor, presenter, or supervisor in a relevant professional seminar, workshop, or training conference earns one (1) CEU for each hour of service, but only for the initial instruction, presentation, or supervision given. Research and publication of research results in a recognized professional journal or book form, earns ten (10) CEUs, but may only be claimed for the initial publication of the information. Providing peer review of another licensee’s therapy and skills, which includes consultation, conference, and critique, earns one (1) CEU for each hour spent with the peer for this purpose. 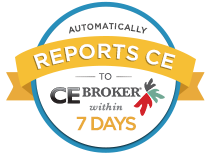 You are not required to earn any Category II hours however, if you do use Category II hours towards you CEU requirement then you may acquire no more than 20 Category II CEUs per renewal cycle. How do I document Category II hours? You can record your hours on a Word document or spreadsheet. You should include the date of the activity, the type of activity, and the amount of time you spent conducting the activity. How many hours in Category II hours can I count? You can count up to 10 Category II hours per year and a maximum of 20 per renewal cycle. Can I take all of my CEUs in one year or do they have to be split evenly throughout the renewal period? You can take as many CEUs as you like as long as you take at least 20 CEUs per year, a minimum of 10 of those hours must be Category I. Can continuing education credits transfer from one renewal period to the next? No. Credits can only be counted for the period in which they are taken. Do copies of my completed continuing education certificates need to be sent to the licensure board when I renew my license? No. Certificates are for your records and will only need to be submitted if you are audited. However, it is required that licensees maintain copies of their CEU records for a period of four years in the event they are audited by the Board. Once you receive your audit letter you will need to either fax or mail in copies of continuing education certificates to the Board by the deadline stated on the letter. What happens if I didn’t receive the necessary CEUs during a licensure cycle or can’t produce the necessary documents during an audit? Florida psychologists have a biennial license renewal deadline of May 31st (of even-numbered years). Every licensee must complete 40 hours of approved continuing psychological education (CE) within the two year licensure period (biennium) including 2 hours on the prevention of medical errors, 3 hours on ethics and Florida laws, and 2 hours on domestic violence (every third renewal). As a condition of biennial licensure renewal, each licensee must complete forty (40) hours of continuing psychological education. Three (3) of the forty (40) hours must be on professional ethics and Florida Statutes and rules affecting the practice of psychology. Of those three hours, at least one hour shall be on professional ethics, and at least one hour shall be on Florida laws and rules relevant to the practice of psychology and shall include Chapters 456 and 490, F.S. and Rule Chapter 64B19, F.A.C. Two (2) of the forty (40) hours must relate to prevention of medical errors. In addition to the study of root-cause analysis, error reduction and prevention, and patient safety, the course content shall also be designed to discuss potential errors within a psychological setting, such as inadequate assessment of suicide risk, failure to comply with mandatory abuse reporting laws, and failure to detect medical conditions presenting as a psychological disorder. If the course is offered by a facility licensed pursuant to Chapter 395, F.S., for its employees, the Board will approve up to one (1) hour of the two (2) hour course to be specifically related to error reduction and prevention methods used in that facility. Every six years, each licensee shall complete two (2) hours of continuing psychological education on domestic violence as defined in Section 741.28, F.S. ; these two (2) hours shall be part of the forty (40) hours otherwise required for each biennial licensure renewal. The licensee shall maintain documentation to substantiate timely completion of these two (2) hours and make said documentation available upon request every third biennial licensure renewal period. Passage of the laws and rules examination of the Board constitutes forty (40) hours of continuing education credit, including credit for professional ethics and Florida Statutes and rules affecting the practice of psychology. Passage of the laws and rules examination, however, does not satisfy the requirement for the two (2) credit hours of continuing education on domestic violence required every third biennial licensure renewal period, nor the requirement for two (2) hours relating to prevention of medical errors. Each hour of attendance at a Board meeting or Board committee meeting. Only one credit will be granted for each hour of full attendance and only ten (10) credits will be allowed each biennium regardless of how many hours are attended during the biennium. Attendance at a Board or committee meeting shall also satisfy, hour by hour, the requirement of professional ethics and legal issues credit set out in subsection (3) of this rule. Continuing education courses approved by any Board within the Division of Medical Quality Assurance of the Department of Health, provided that such courses enhance the psychological skills and/or psychological knowledge of the licensee. The provision of volunteer expert witness opinions for cases being reviewed pursuant to laws and standards relevant to the practice of psychology. Two hours of credit shall be awarded for each case reviewed up to a maximum of ten hours per biennium. In this regard, volunteer expert witnesses are expected to perform a review of the psychological, medical, legal, and/or ethical literature, as appropriate to the case being reviewed. Home study except from providers approved by the American Psychological Association or any of its affiliates. The licensee shall maintain, and make available upon request, documentation to substantiate continuing psychological education credit required by the Board. The licensee shall retain such documentation for two (2) years following the renewal period during which the continuing psychological education credit was required.